One of the most fascinating aspects of entrepreneurship and in the creation of a product is watching and reflecting on how something develops, and what possibilities arise over the years. ochs und junior’s radical innovations all stem from the mind of Ludwig Oechslin. In terms of mechanical watches, his innovations are probably unrivalled. But when it comes to introducing a finished product into a fitting and coherent context, the whole ochs und junior team is needed – including you as potential future owner or, perhaps, present wearer of one of our watches. We built the first ochs und junior watches in 2008 and 2009 in small production batches, offering such limited choices as, for example, whether the hands should feature Super-LumiNova or not. In other words, we, too, had to discover the potential of Ludwig Oechslin’s innovations. Today’s possibilities developed over time as our understanding of the product matured. Reading through our “Thoughts” section, it is possible to follow the gradual development of our ochs und junior watches step-by-step and establish a pretty precise timeline of ideas. On November 29, 2010, we wrote about the possibility of customizing your ochs und junior for the first time, though the section was still called “Ochsenblog” back then. The idea at the time was to individualize the watches by allowing different color choices. 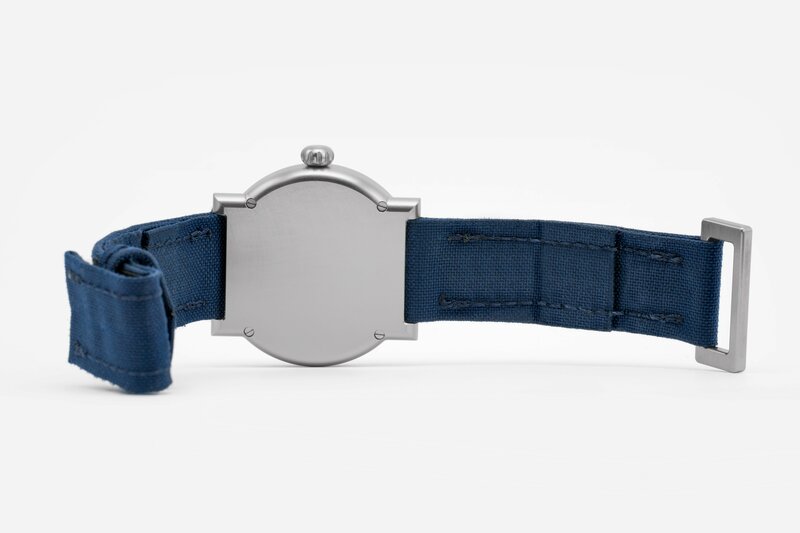 Since our partner Cador, who is responsible for the coloration of our watches, uses the Pantone Matching System as a reference to judge whether a result corresponds to the desired color, we considered establishing a partnership with Pantone. I therefore met with the person responsible for licensing the Pantone brand in Paris in the autumn of 2010 to discuss the possibility of a joint project. But the knowledge that Pantone is a global enterprise and would demand extensive legal paperwork made too much of an impression on us in the end; we decided that we wanted to remain independent. As a consequence, we forewent a public declaration of the source for our available color range. In 2012, we came to see the aesthetics of Ludwig Oechslin’s prototypes as an asset and began offering patinated brass dials. In the same year, a client from Lucerne asked for a moon phase interpretation based on the Nebra sky disc. So our range of choices broadened as we added the possibility of a dial with a copper patina with inlays of precious metals to symbolize the sun and the moon. 2013 was marked by the request of a client who wanted us to mill a functional dial with a rust patina. We succeeded and from then on, the possibilities multiplied as everything – or anything that could be worked, i.e. milled while remaining within certain tolerances – became possible. We’ve since manufactured dials from red gold, white gold, rusty iron, and aluminum – and for one client even from the hard steel of an unnamed ship! 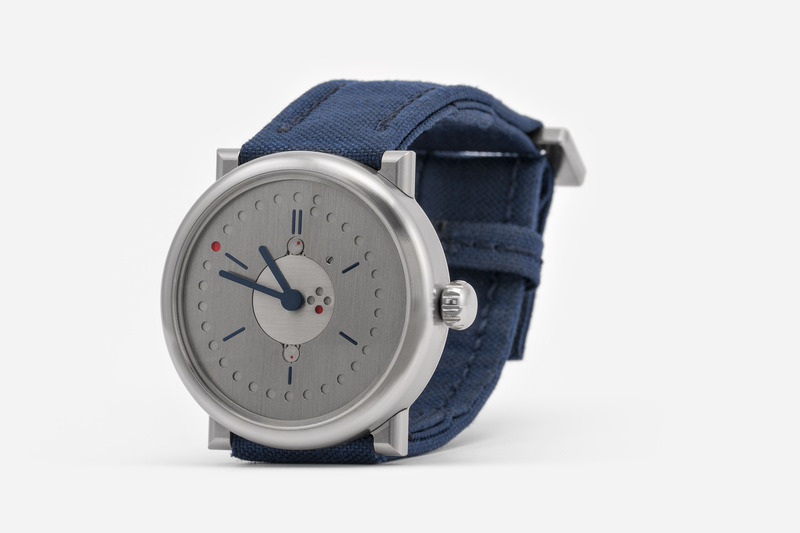 Our new customizer (example: perpetual calendar), which has been up and running since May 2017, shows the range of existing choices for all ochs und junior watches and functions, and serves as an inspiration for new ideas that we haven’t executed yet. All colors and metals can be used – even ones not yet incorporated in the customizer. The first time we executed a watch made from a single metal was the pure silver ochs und junior annual calendar. Yet we always knew that the same purist approach would also work with titanium. Now we have finally executed it. 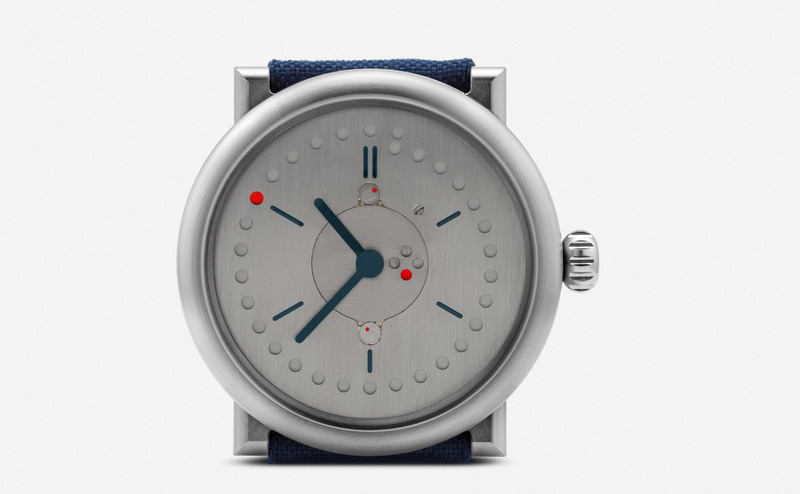 The design of this perpetual calendar is by Cail Pearce, while I’m the one wearing it. It fits perfectly! 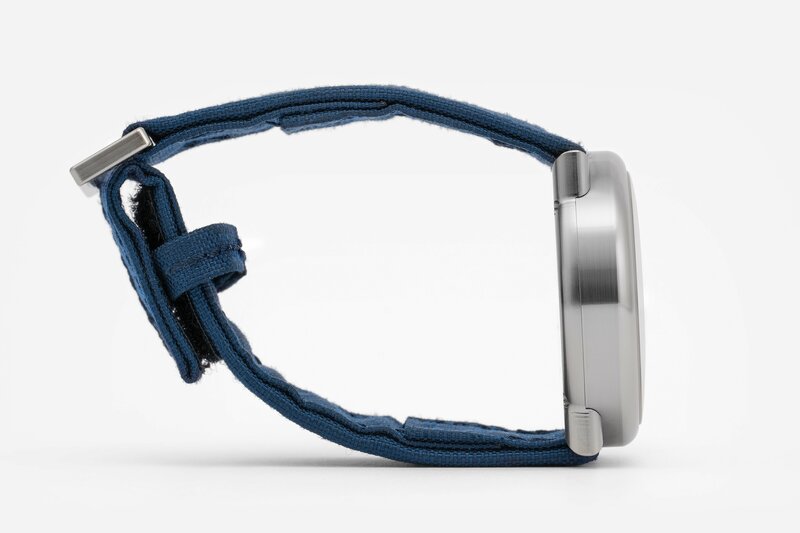 The photos show the watch with traces of everyday wear, even on the strap. It isn’t photoshopped to look new, but shown just the way it is when it is worn every day and for everything. All functional titanium parts are manufactured individually by the Swiss company Helfenstein Mechanik in Alpnach. To this day, there are only two perpetual calendars in pure titanium. One is the one on my wrist, the other is on the wrist of a client in Singapore. The case of that watch is PVD coated, and the indices and hands are colored with the same shade of grey. We only manufacture the titanium perpetual calendar upon request. When the watch is ordered, we create a photorealist mock-up to show how the watch will look with the colors chosen for the indices, the hands, and the date dots.